R.D. 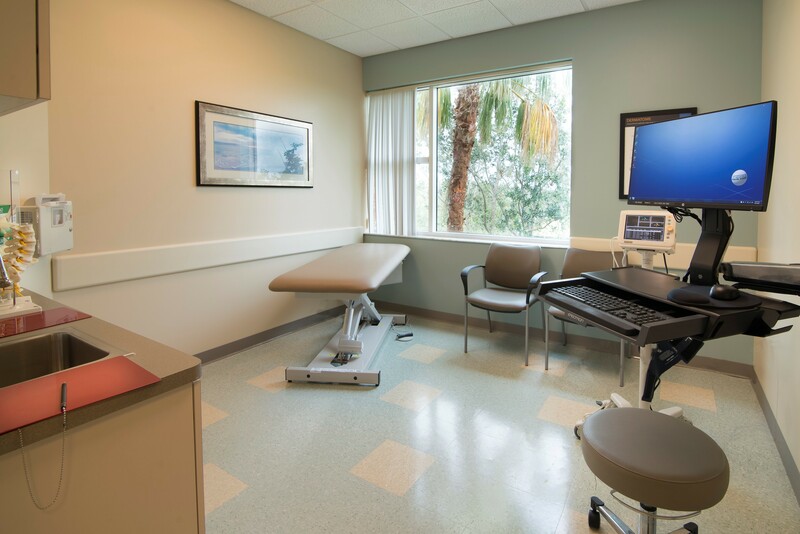 Johnson Construction, Inc. has completed construction management services for the interior renovations of the Lee Health Pain Clinic in the Outpatient Center at HealthPark Commons, located at 16281 Bass Road in Fort Myers. The project combined two separate spaces of the building, creating a larger clinical space for a more efficient and patient-friendly facility. The project included the renovation of physicians’ offices, exam rooms, waiting areas and restrooms. The project was completed in two phases, allowing the facility to remain open during the renovation, and was completed without disruption to the patients visiting the facility or its scheduled procedures. R.D. Johnson’s Aaron Harder was the project manager, Jerry Gallaugher was the project superintendent and Chrissy Zimmerman was the project manager assistant. Burt Hill of Pollock Krieg Architects, Inc. was the project architect.